Two views of Borough High Street earlier today. 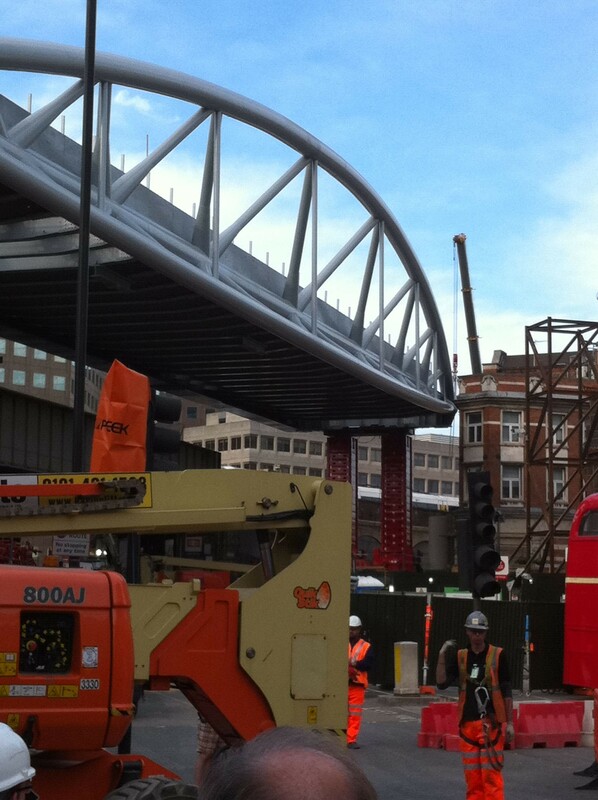 The first shows the new Thameslink bridge on 30 April waiting to be moved across the road. 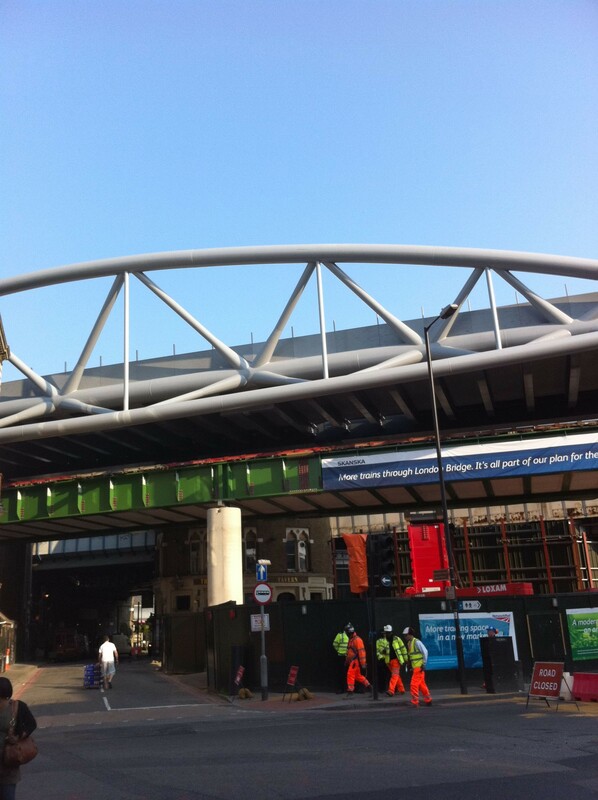 The second shows it having been moved across the road on jacks waiting to be lowered into place later this evening.